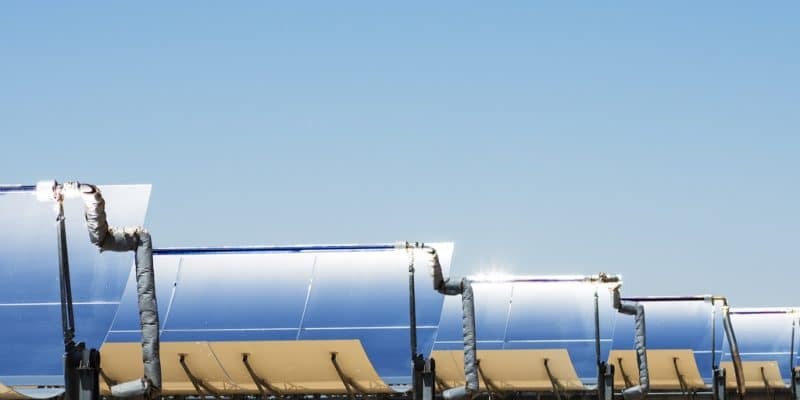 The French company Engie, specialised in energy production, has recently commissioned the Kathu solar park, located in the North Cape in South Africa. With a capacity of 100 MW, it is equipped with an innovative system for storing energy. South Africa is making progress with renewable energy production. The last solar power plant to be commissioned is located in Kathu, a city rather known as the “iron ore capital” in the Northern Cape. The park is owned by Engie, a French company specialised in energy production. The plant has 384,000 mirrors installed over an area of approximately 4.5 km2. They concentrate the sun’s rays to heat a heat transfer fluid that rotates a turbine to produce electricity. This is extraordinary and it is therefore this set that produces 100 MW of electricity per day. More importantly, through its molten salt storage system, the Kathu Solar Park will provide energy for 4.5 hours after sunset and during peak periods. A godsend for South African populations. To carry out this project, Engie entrusted the work to Sener Southern Africa and Acciona Industrial. Both companies started construction in 2016. As of February 2019, the facility is expected to provide electricity to 179,000 households, particularly in the John Taolo Gaetsewe district. It should also prevent the emission of 6 million tonnes of CO2 into the environment. In a statement, Isabelle Kocher, President and CEO of Engie, welcomed the South African authorities’ choice of Engie as the country’s “best choice for achieving its renewable energy objectives”. It must be said that it operates on site as a private electricity producer (PPI). Its project is part of the South African Renewable Energy Supply Programme (REIPPP). It is a programme whose objective is to encourage PPIs to invest in the rainbow nation. Also under REIPPP, Engie owns two 21 MW solar projects and participates in a 94 MW wind farm. The company, which employs more than 151,000 people worldwide, has signed an energy buyback contract with Eskom, the company that distributes electricity in South Africa. The contract has a 20-year term.